The business productivity starts when employees collaborate with each other most efficiently. In the context of fast-changing innovation economy, information workers should be empowered with tools to communicate critical business information with rich documents, presentations and Excel spreadsheets in real-time with colleagues/business partners. In this session, the speaker will explain how your organisation can help to unlock the potential of your employees and maximise your business productivity using Microsoft Office with SharePoint 2013. Quick way to create a list with validation. 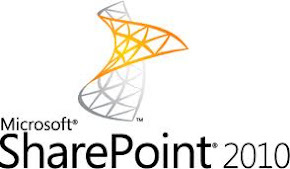 Two days ago I received a call regards to SharePoint farm admin account access level. Login using Farm admin account “Sorry, this site hasn’t been shared with you. Farm Administrator: This account refer to the SharePoint Administrator like us, these accounts are usually user account and they just explore the Central admin. A user with Farm Admin rights is not automatically granted rights in Site Collections. To bypass having to add the user to every Site Collection, in Central Administration go to Manage Web Applications. Farm administrators have no access to site content by default; they must take ownership of site collections to view any content. They can do this by adding themselves as site collection administrators—but ideally, they’ll leave the content management side to you, so they can focus on the software. SharePoint farm administrators control settings in the SharePoint Central Administration Web site – that is, settings that apply to all the site collections in your organization’s SharePoint deployment. They also create site collections and set the first layer of permissions for site collections. Enable or disable the anonymous access feature. Specify which permission levels are available for you to choose from. Specify which individual permissions are available within each permission level. Choose how much of SharePoint Designer is available in the site collection. Choose which users can manage service applications, such as the User Profile Service application, or Search. Each service application has its own customizable permission settings. Add another user as a farm administrator. This one day deep dive class will get you up to speed on developing for Windows Azure. The class includes trainers with deep real world experience with Windows Azure. We’re really happy we have sponsors helping us out with this event and giving away some swag at all locations! Above sponsors offering some nice SWAG mostly in the form of software licenses for your attendees. Either a license per attendee or a number of them to raffle out. Microsoft Singapore giving out some t-shirt too.